Just like that it is May. Time seems to be on some sort of speed up at the moment, where I wake up, blink and then its time for bed again. Our days are filled to the brim with work, then garden work, then house work, then home work, then we crash in a daze. Its good though. I think this level of busyness is just about right. I like the ache in my muscles after a day of planting in the garden. Each day is different enough to feel energised rather than drained by drudgery. My only ask would be if the weather could warm up, even in the slightest? Please?!? *looks out at the howling gale* Today is probably not that day. 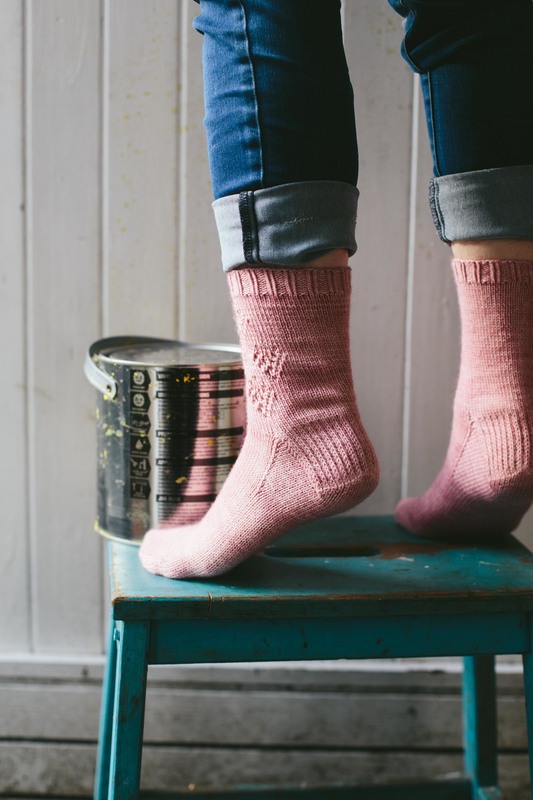 Also, have you seen Jane Burns' new collection of sock patterns? Its called Lazy Sunday and I had the immense priviliage of taking the photos. You can find out more here. 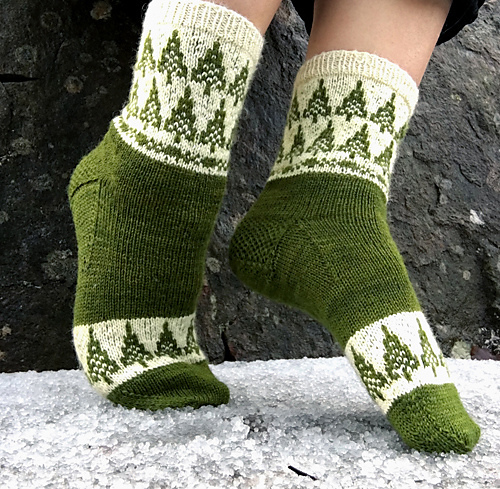 Also, if crochet socks are your thing, Joanne has released a companion to Saunders socks. 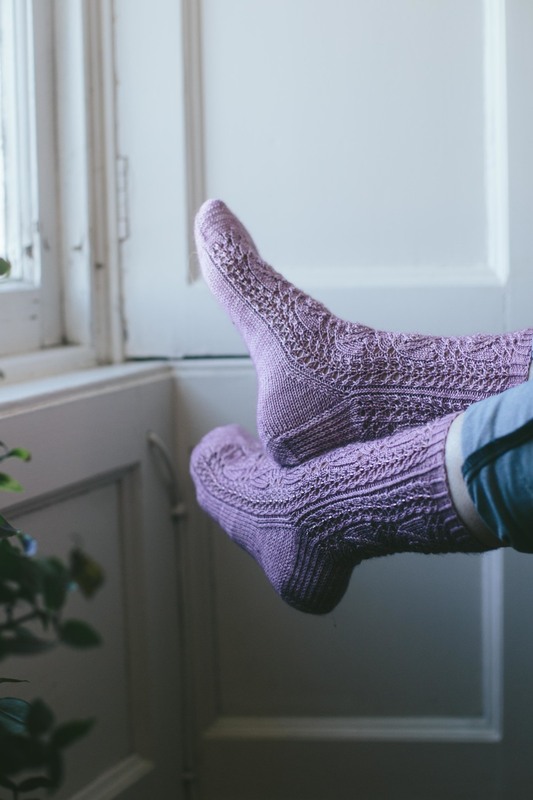 You can download the ebook with 2 sock patterns - one in Aran and one in 4ply weight. These were hugely popular at Wonderwool. You can buy the ebook here or the print copy here. Also The Crochet Project's newest collection Three From The Top is live. I am off to put more layers on, drink some more coffee and see if there is a hairy dog or furry kitten to keep me warm. Maybe I was wrong and it isn't May and we've been sent back in time to Feb? hello, hello...is this thing on? Sorry for the absense around these parts. I want to tell you that it was because of some pressing reason that kept me thoroughly occupied, but the truth is I have been on a bit of a go-slow of late. Having (very gratefully) cut back massively on work, I find that without the constant adrenaline rush of trying to do all the things, I am struggling to find a way to stay motivated. They say "If you want something done, give it to a busy person" , well, I am pretty sure the opposite is true as well and while I have plenty to keep occupied with, the small details of running a blog and business have fallen a bit by the wayside. The other thing that has not helped is the rain. You may be aware that we've had flooding and storms for well over a month. Grand plans for tutorials, pattern releases, and glorious photoshoots have all ground to a halt. It is bleak and dark and I could easily sleep for the next 4 months and wake up in March thank you very much. While the rest of me is desperate to sleep, my fingers are just dying to knit. I am giving up on Christmas gift knitting, but that doesn't mean I can't continue to hoard Christmas knitting patterns for next year. This week, I have been drooling over these three. My other new discovery this week has been an Icelandic Bind Off. Having always hated binding off, this version made casting off a recent 350 stitches completely tolerable! If you are looking for crochet Christmas gifts, Joanne pulled together a list of giftable patterns from The Crochet Project here. Have you seen Kate from A Playful Day's work around #makgoodfeelgood? It has been a wonderful thing to read through so many inspiring stories of how making has improved people's lives. While we have been lucky that the storms haven't caused as much damage as they have in other places. Carlisle (about 2 hours south of us) has been hit badly. There are lots of charities that are helping out and if you were looking to donate toys or clothes, you can look here for appropriate charities helping out. Pictured at the top: Vintage Prim - honestly the best knit I've done in awhile. Baa Ram Ewe Titus + brioche = actual heaven. So much so on Monday, I spent precious working time knitting away - oops!! This rainy afternoon's plans are to check as many things off the top list so that I can start on the bottom list again!! Have you seen Libby's new Industry Shawl? Its just gorgeous. I love end to end shawls. Did you read Sarah's interview with Cal Patch this week? I stalked Cal for a long time before we became friendly online and I love her approach to fashion, design and crochet! This has been shared in various circles, but this opinion piece on VAT MOSS and its impact on small businesses is worth reading if you haven't already. I am a bit bummed that I didn't know about the In The Loop conference before yesterday, but it looks extremely interesting (plus Karie is speaking, so I am sure it will be great). - Do you love podcasts as much as I do? Well, Kat and I pulled together our top 20 Podcasts for Creatives. My current favourite is Being Boss. - After the success of the start of the Making it Work series, I have also opened a Facebook group for designers and designer/makers working in crochet and knitting. You can join here. Just love crochet? Crochet Camp on Facebook has over 7,000 members, so join here. - Are you looking for something to make? I love Sandra from Cherry Heart's Quite Quaint blanket and I am NOT a blanket/motif/flower person, but the Orla Kiely vibe could convert me. - Have you caught up with Nina Nixon recently (formerly from the blog Tabiboo)? I love her photos and her new home on the web is just gorgeous. - In my never ending quest to eat all the pies, I think this Strawberry Cheesecake Ice Cream Pie from Smitten Kitchen is next on my list. - I currently have every colour of Deramores' Studio DK range in my office for a super secret project. It is a totally gorgeous yarn and the colours are amazing. - Life is pretty much planned to the minute these days. This week was the print deadline for Blogtacular, a regular deadline for Knit Now and we've just announced the full details of Blogtacular's Saturday evening Pintacular. So excited! - Theo keeps bringing me eggs and I keep leaving them on my desk, so I have a growing collection - oops! Bantam, Hybrid and Turkey eggs pictured. - Speaking of Knit Now, some of my pieces from my Hook and Stitch feature have started arriving back. Its always like little gifts to myself when samples make their way back. - Scottish strawberries have arrived at the veg market. This is a huge relief as we are out of jam. I have been holding off buying masses as I know if I wait a few weeks they will be even tastier, but small punnets are sneaking their way home. - I have planted 4 different varieties of peas...and none of them are growing. It is so cold here, I want to cry and have even done the winter thing of going to bed at 8pm just because I am so cold. - This week's ice cream is salted almond, adapted from this one from delicious magazine. Very good, but still hasn't topped last week's salted caramel. I am off this weekend for a weekend of: birthday party/soccer practice/anniversary party/ rug making/ magazine shoot/ tutorial writing...I am hoping to sleep some time in there as well! - Rico Essentials Cotton DK: I don't know how I missed this yarn for so long, having always gone for the Creative Cotton Aran, but I have to say, I am impressed with this 100% cotton. Its a wee bit on the thin side of dk, but has a lovely sheen and doesn't split nearly as bad as its Aran label-mate. Plus, I am really loving the blues at the minute. - The first toy I have ever designed: Only because I couldn't say no to the client did this baby end up on my to-do list. I am not a fan of toy making and in future, will definitely leave it to those better suited. - Pink Campion (I think that's what they are - UK flowers are still a bit of a mystery): Georgia brought me these this morning because apparently I've "been a very good mama". - Rhubarb Crisp/Crumble with Salted Caramel Ice Cream: Yes, this was my breakfast. No, I am not ashamed. Yes, I am on a massive sugar high. Watch me power through the work today (until I crash). This is from my neighbour whose rhubarb is the biggest I have ever seen. We made a huge pan with just one stalk. My sister is sending me her Grandma Too Too's rhubarb pie recipe for the other one. Yum! - My yellow tape measure: rescued from the barn when Kevin was using to to measure wood. This is almost as alarming as people using my work scissors to cut paper. - A vintage compact: found at the car boot sale. Georgia brought it to me this morning (with the flowers) because I am also the "Fairest in the Land". When I asked her what it meant, she said it means that when I give ice cream, I give her and her brothers the same amount. - My favourite hooks, on top of a coffee stain: Yeah, that pretty much sums up most of my life. I have no idea where this week went. Well, that's not true. I know that we are 6 weeks away from Blogtacular, nearing close to a rather large crochet deadline and juggling children and their illnesses with such adeptness that I think Kev and I deserve a circus skills Scout badge. Did I mention the fantastic Benjamin Hole is one of our speakers at Blogtacular this year? Oh yes! And have you set your timers to scoop up some of their latest yarn? I am sorely tempted. And speaking of knitting and Blogtacular, did you hear Kat M on A Playful Day's podcast this week? How many of your are joining in the Crafts from the Cwtch Make-a-long that starts today? I see lots of The Crochet Project patterns being made! Ok, I am off to attend to a sick little girl. So many things to tell you!! - Have you heard about the Mollie Makes Handmade Awards? They are celebrating the best in the handmade world and the people in it! I am so thrilled to be part of the judging panel with Blogtacular in the category dear to my heart, collaboration! You can find out more here. - Have you seen Kate from A Playful Day's Love Your Blog challenge? I have really enjoyed reading the posts that have popped up in my reader. - Speaking of collaboration and craft, have you seen Joanne's new Facebook group all about making your own crochet and knit garments? - I have a couple of new patterns out in #crochet. My favourite is a piece they asked for as a skirt, but I have sewn up and wear as my new favourite cowl, as you know, its Scotland and still cold here. I tell you what, that Debbie Bliss Paloma is squishy-delicious. - Last week, we saw one of the best gigs we've ever seen. It was the kick off to "I'm With Her" a group made up of Sarah Jarosz, Sara Watkins and Aoife O'Donovan. They are 3 of our favourite Americana singers and if you get a chance to see them, I highly recommend it. You can listen to a snippet of their performance here. It starts at about 26 minutes. - Discussions of copying have been at the fore of the industry (again). Design*Sponge (via Blogtacular), Folksy and the UK's Intellectual Property Office (via Jacqui)have all published posts this week. - I loved this post by Emma on marmalade making. I guess I'd never considered it a family affair. We've made 3 batches and now the children have decided they don't like it. More for me, I guess! - A bit of a bloggy dream came true this month with the publication of the Spring issue of Artful Blogging. Whenever I go to the states, a copy of this magazine is always on my must-get list and I have often wished to be amongst the featured. - Have you seen the new bi-monthly magazine #crochet? Its almost a bookazine in size and number of patterns focussed at a trendy crochet market. Well, if you love colourwork, I designed the cowl and hat on the cover and am pleased with how they came out. I also wrote the tutorial for the crochet hexagons. I know I have seen the magazine at Sainsbury's, but not sure where else you can get it. - This month also sees the full pattern for my Crochet Hexagon Wall Hangings in Mollie Makes and the official kick off of my new column for Simply Crochet (more on that later!). Phew! I am off to spend the day knitting until my fingers bleed and listening to the next instalment of Woolful. I can't stop knitting these mittens from Martha Stewart. I'll write more when I have actually finished a pair but their ingenious construction has me addicted. Speaking of knitting, I really liked Ysolda's thoughtful piece on pattern pricing. I have been canning like a mad thing. On Monday alone, I put up 8 pounds of berries - we have at least 8 opened jars of jam in the fridge already, so we have been eating jam with everything (except ice cream, as my ice cream maker broke and I totally cried about it). However, this vegan/GF Victoria Sponge cake recipe is AMAZING and went some way to make me feel better. Next on my to-make list are salsa and passata. Did you see A Beautiful Mess's interview on Design*Sponge? Are you a Pinterest addict and want to make more of the platform for your blog? Check out Blogtacular's post here. Don't forget to enter the giveaway for Stanley and The Hot Air Balloon. Kate's super duper sweet book "Stanley and the Hot Air Balloon" is now for sale in her Etsy Shop. I can't wait to finally see the full thing and I know the kids will LOVE it. Did you ever wonder which takes more yarn - knitting or crochet? Joanne has the answer for you. I know I already posted this on Facebook, but this chocolate ice cream recipe has to be the best we've tried. We made it twice over the weekend and are making another batch today. You have probably seen this already, but if you haven't pop over and take a look at the new Handmade Happy Craft Magazine. Lots of sweet projects. I have also just downloaded the 2nd issue of Tend to read tonight. My insomnia is terrible at the moment, so I load up my ipad with nice things to read when everyone else is asleep (or else I resort to reading celebrity gossip sites and I don't really need to know about Zac Efron's abs thankuverymuch). I have a new favourite blog, Pink Ronnie. I did that thing where you spend ages reading the entire archive and then worry you look like a weirdo on their stats. Yup, that's me! I really loved these thoughts on turning desire into creativity. I often think that our very limited income is the main source of my creativity - we can't just buy new things, so we have to make them and think outside the box. With all of my free time now I am not selling kits, I think I am going to make myself a shawl. I have always loved Joanne Not So Granny's Hilo Shawl and have just the hank of some purply Skein Queen for it. Finally, have you seen Jojo from Miss Jojangles' illustrated post on Blogtacular? I have never looked so adorable and never have I loved a review of anything more. Thank you so much! I've spent the last few days with Kat working on exciting things for the future, and around that it means that we are closing Capturing Childhood. Its sad, but its time to move on to new things. We are running one last Collect the Moments, so if you ever wanted to take great photos of your family, this course is for you! Starts June 16th. When I am with Kat, I can guarantee that we will be eating well as she and Mr Kat are phenomenal cooks, sadly I didn't get to taste her new scone recipe, but it looks amazing! It is always exciting to pick up a magazine and see your work featured. This month, there is not one but two pieces about Blogtacular in Mollie Makes! So so exciting. Also in this month's issue is this gorgeous project from Messyla (love her blog as well). I think the beloved blue bicycle needs one, hey? Talking about crochet colourwork in a rare trip to Pinterest yesterday I stumbled upon Molla Mills work. Awesome beyond measure. She has a book coming out in english later this year (incidentally on the same day as my next book! ), and its definitely on my wish list. I also love Claire's tapestry crochet blanket in Inside Crochet. Anyone on pippit? I am there as katgoldin. I do love a good app! I forgot to mention in the change over to the new site that the blog and the feed have moved. The blog is now http://www.slugsontherefrigerator.com/blog and the feed is now http://www.slugsontherefrigerator.com/blog/?format=rss If you subscribe via Bloglovin, they have sorted out the move for us, but you may need to update your readers to get the new feed.